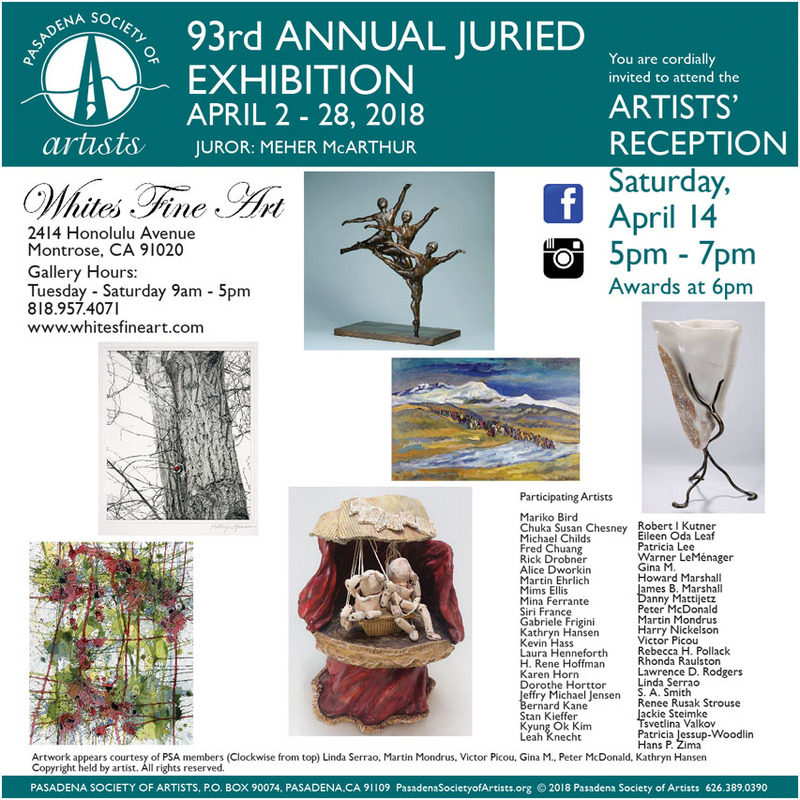 The 93rd Annual Pasadena Society of Artists Juried Exhibition is scheduled for April. There are approximately 60 works in the show which will be on view at Whites Gallery in Montrose, CA. Pasadena Society of Artists boasts an enrollment of artists working in many varied media and styles from photo-realistic to non-objective…there is always something for everyone in these annual exhibitions: no visitor leaves dissatisfied with the experience. Montrose? Cool! Count me in! !